Long before a video posted online showed Campus Safety mishandling two students of Color, the Loyola administration has been accused of excluding and profiling racially minoritized students. In response to the incident named above, The Office of the President released a statement claiming “all of Loyola’s leadership believe it is essential to speak to these issues, and collectively, we are committed to doing so.” While the statement mentioned sharing results from the recent campus diversity survey, it didn’t name how Loyola’s leadership plans to utilize those results or the role of Loyola’s Chief Diversity and Inclusion Officer (CDIO), Winifred Williams, in developing strategies to mitigate students’ experiences of racial exclusion. One week prior to this publication, I reached out to WIlliams for her input and have yet to receive a response. CDIO Williams oversees seven committees on Loyola’s Executive Council on Diversity and Inclusion, including the Education, Development and Awareness Committee which is responsible for offering campus-wide diversity and inclusion training materials. To ensure university leadership improves its competence in racially inclusive practices, it would logically follow for President Jo Ann Rooney to direct Williams to institute racial inclusivity trainings for upper-level leadership. Unfortunately, the current “Signature Training” available through the committee lasts no more than a few minutes in length — insufficient for addressing key issues of racial inclusivity on campus. If the university is truly committed to addressing the challenges faced by racially minoritized students, a much more critical and timely inclusivity training must be available as a resource for the Loyola community. Unfortunately, Loyola’s governance structure simply doesn’t position its leadership as ready for, or responsive to, institutional change and inclusivity. For instance, the president’s cabinet, which includes all University’s Officers, has only been elected to one-year terms which expire in June 2018, giving it very little time to complete racial inclusivity training and revise university policy. In addition, Williams serves in a dual role as Loyola’s vice president and chief human resources officer and, therefore, might not regard implementing racial inclusivity trainings as her primary focus within her role at the university. 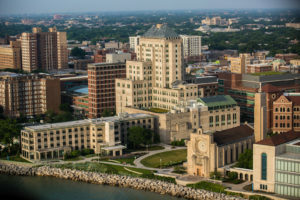 Many predominantly white institutions like Loyola have analyzed campus climate and concluded the environment remains hostile for students with minoritized racial identities. Microaggressions (the constant reality of slights, insults, invalidations and indignities visited upon marginalized groups) and tokenization (the practice of admitting a small number of minoritized persons to work, educational or social activities to give the impression of being inclusive and presuming their viewpoints and experience are representative of an entire community) are particularly prevalent in the experience of minoritized students. These issues and their underlying systemic causes are what university leaders must understand to develop racially inclusive practices. As a graduate student in the higher education program, I’m aware of the limitations and resistance to change inherent within Loyola’s bureaucratic governance structure. However, with the number of resources available to Loyola’s leadership and the number of diversity committees and initiatives already in place, it’s time for the university to make a concerted effort toward directly addressing its deficits regarding racial inclusivity. Too often, the work of fostering inclusion on campus falls onto staff and faculty of Color, the Office of Student Diversity and Multicultural Affairs and students who already navigate minoritized identities. While it’s helpful the Education, Development and Awareness Committee is already in place to facilitate diversity trainings, including materials that more critically address racial inclusivity on campus and mandating participation in these trainings would make them more effective. Loyola needs to gather every resource in its wheelhouse, namely the voices and narratives of marginalized students, our Chief Diversity and Inclusion Officer, the results of the campus climate survey and existing diversity committees to begin making visible and intentional progress toward promoting inclusivity.